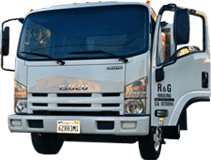 R&G Hauling provides competitively-priced hauling and cleaning services in Pasadena, Monrovia, Arcadia, Glendora, Burbank, and nearby cities. This service is ideal for quickly and effectively cleaning out garages, attics, storage units, yards, sheds, basements, and more, and can include nearly any amount of soft/non-structural demolition, junk removal, and hauling. Since 1993, we have served thousands of satisfied commercial and residential clients and earned a reputation for being reliable, friendly, honest, and thorough. We arrive at the promised time, and provide fair and accurate, upfront pricing. We view every hauling and junk removal service as a clean up project. Following the removal of furniture, appliances, fixtures, building materials, tree branches, or other junk, waste, or trash, we automatically proceed to clean up your site. We'll thoroughly sweep up any leftover trash, dirt, and debris and even hose down the area upon request. Whether you have a home that needs to be cleaned out before a move or a neglected yard, R&G Hauling will make the clean up fast, convenient, and affordable. 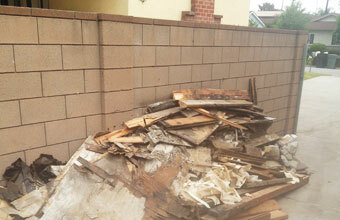 R&G Hauling is your trusted source for big and small clean-out projects anywhere in the Pasadena and Monrovia area. We are fully insured, locally based, and family owned and operated. Because we understand that cleaning out an attic or garage can be an overwhelming and daunting task, we aim to make the process as easy as possible for our clients. Once you know what items are ready to go, our guys will remove it from your home or business, load it onto our truck, and cleanup any leftover dirt or trash. We always respect your property and work carefully not to damage anything during the hauling and cleaning process. Call us 7 days a week!